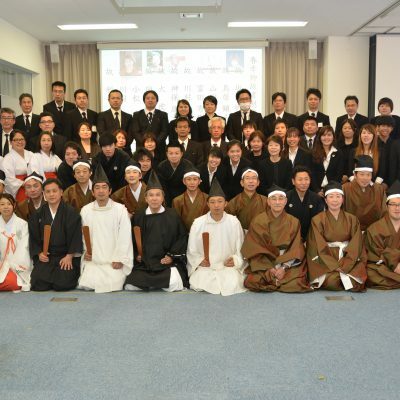 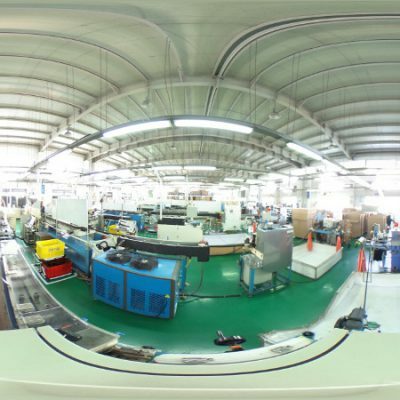 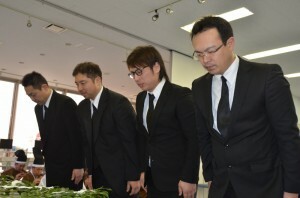 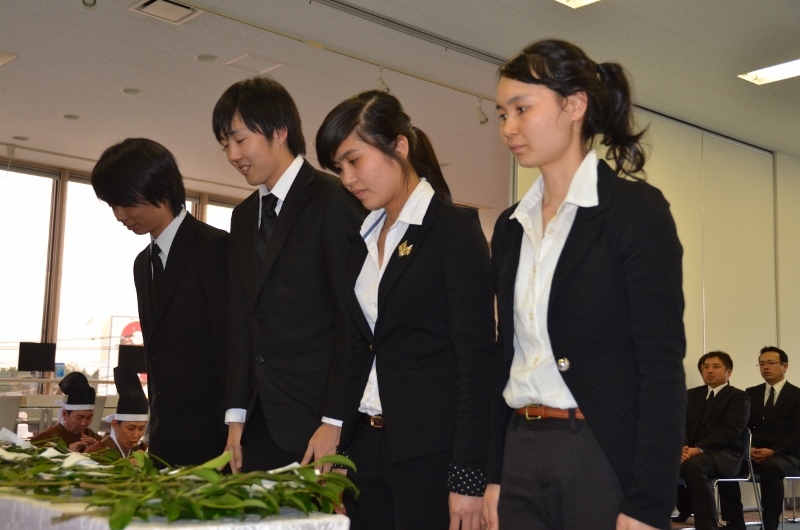 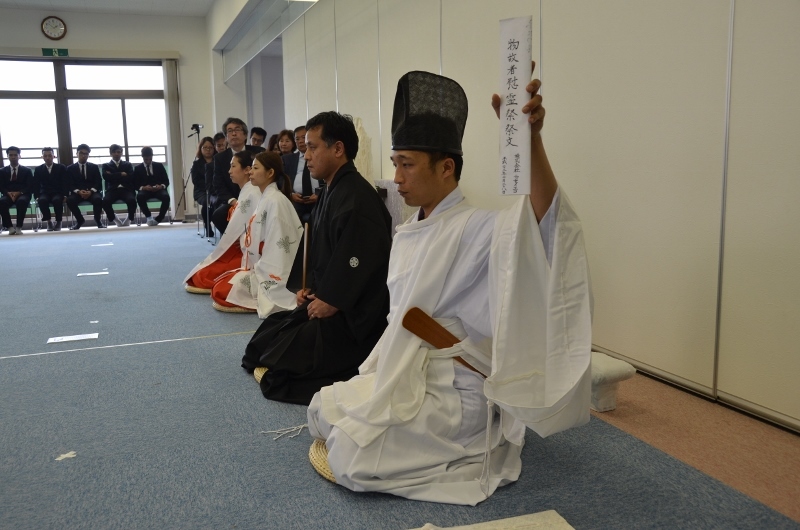 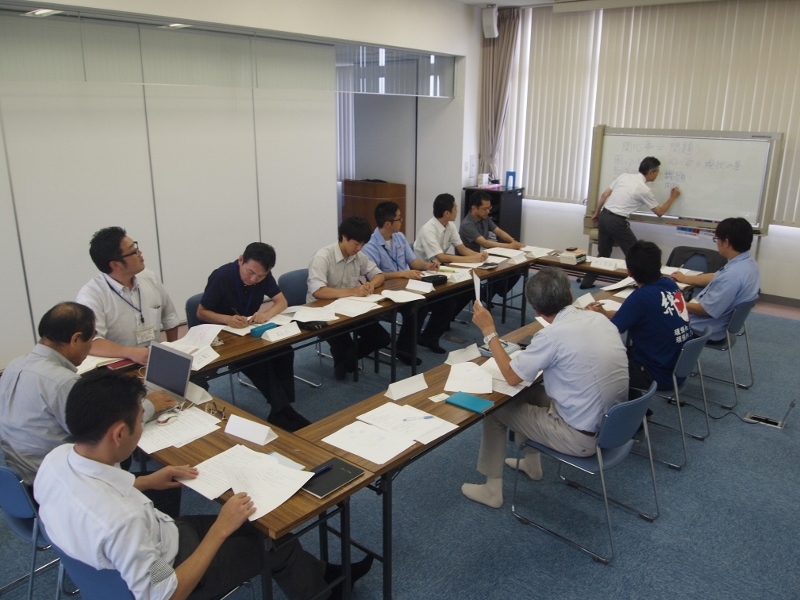 A spring memorial service for the deceased was held at Nissei Eco Co., Ltd on April 10th. 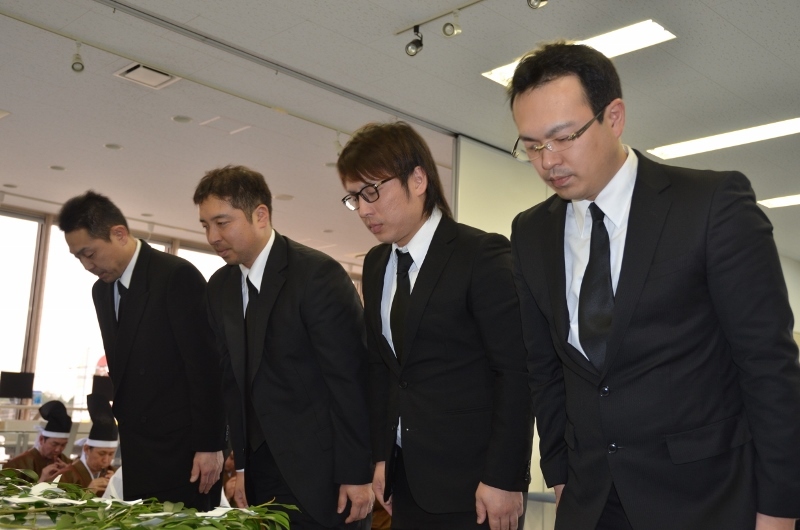 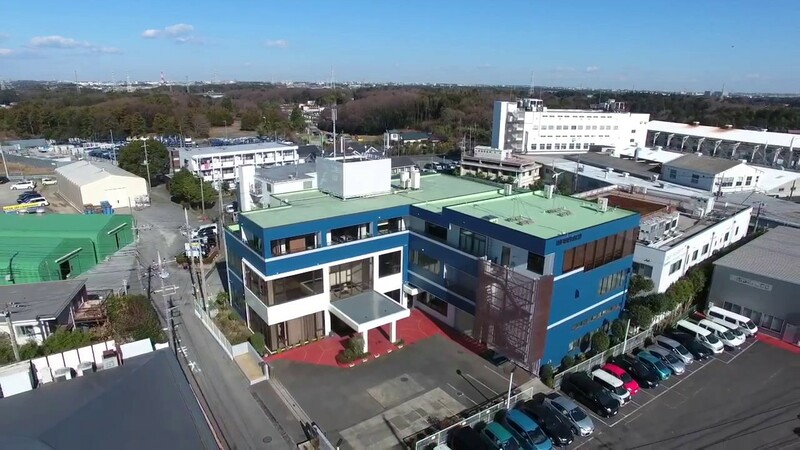 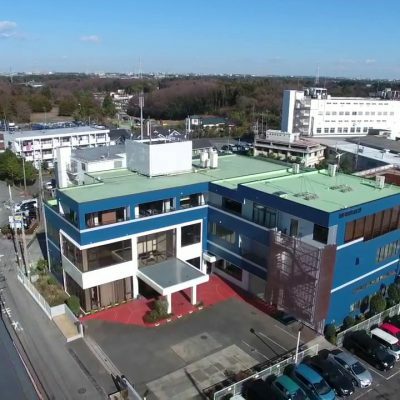 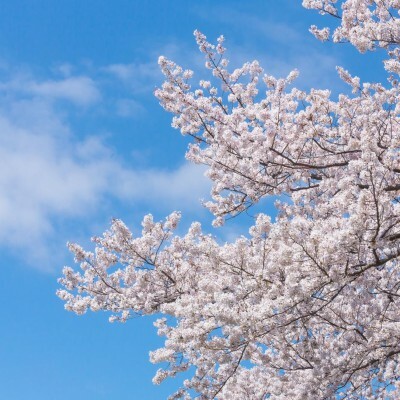 Deceased means that they were as directors, workers who remarkably contributed to the growth of Nissei Group and we as all employees express our gratitude. 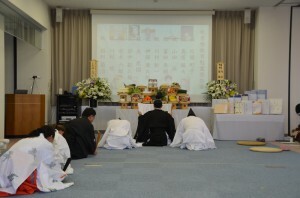 The memorial service to pray is held twice a year. The ceremony is all handmade by ourselves. 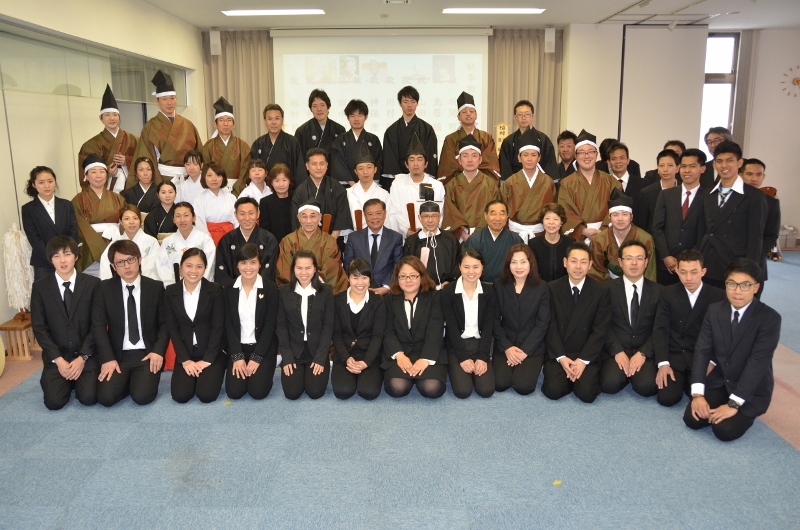 The president of Nissei Trading Thailand attended this time. 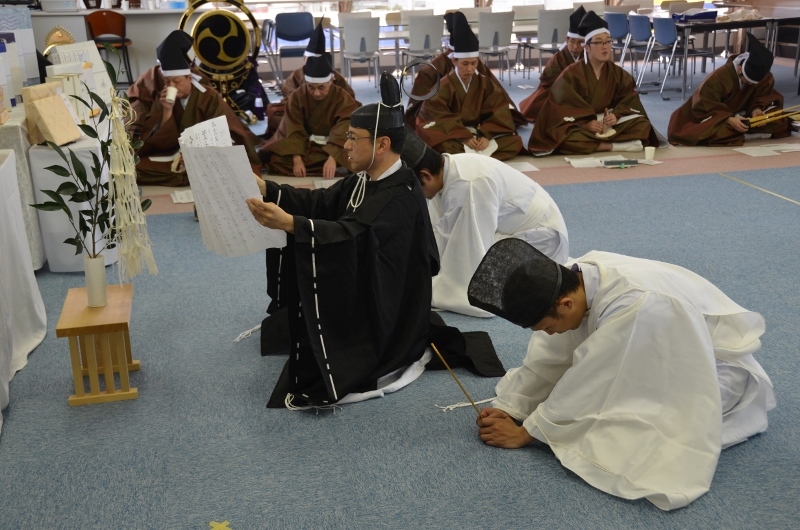 It was held gorgeously, but modestly with priests, shrine maidens, food offering to the deceased, and court music company with specific shrine clothes on that were also performed by also ourselves. 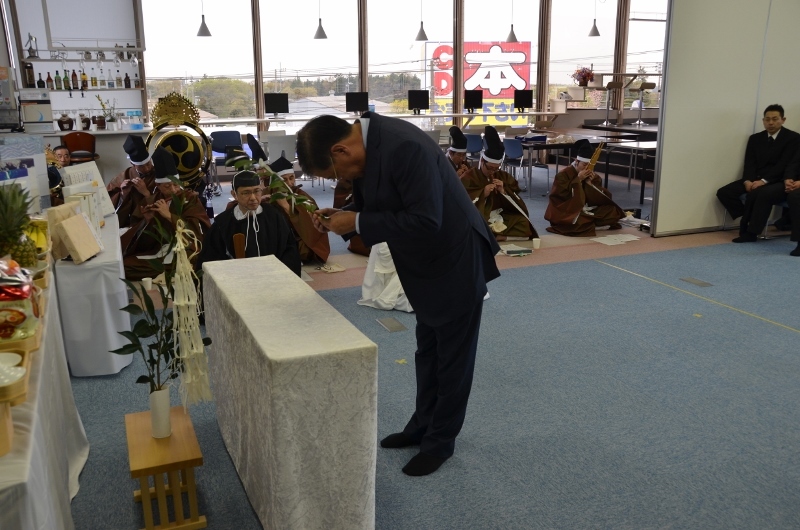 Here are pictures how the ceremony was proceeded. 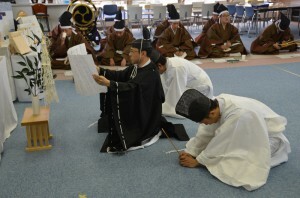 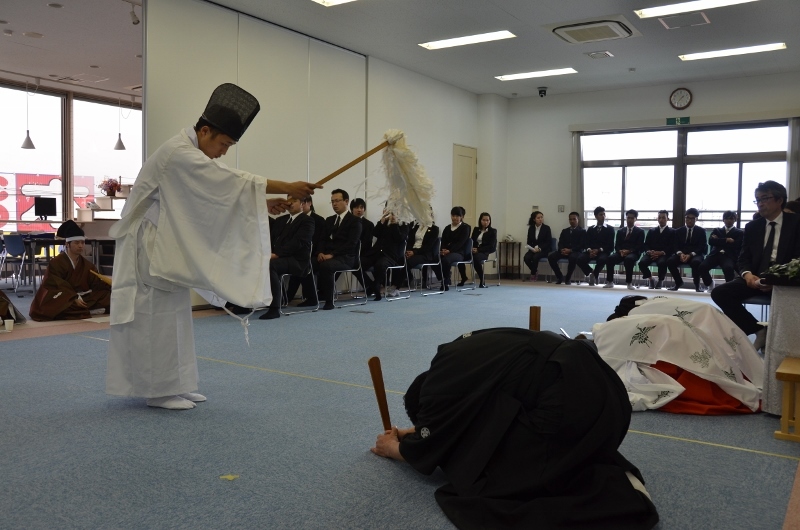 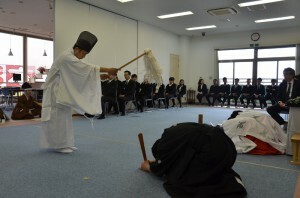 Priest, the president of Nissei Eco enters and bow to the deceased with court music. 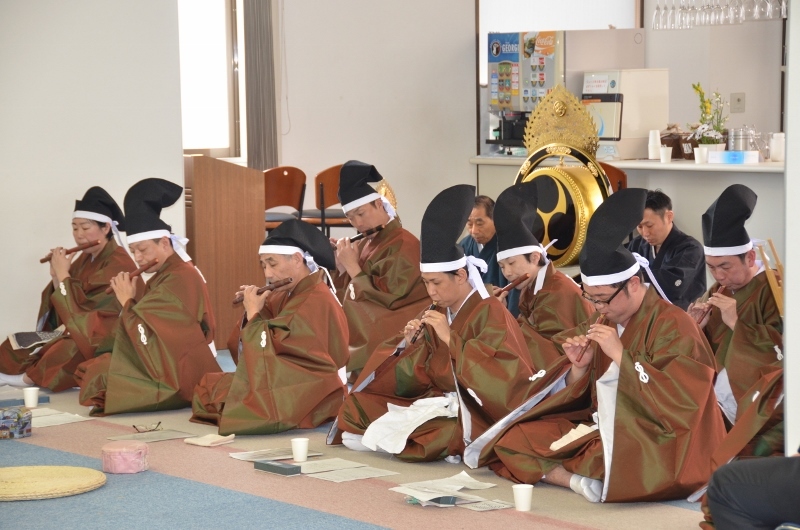 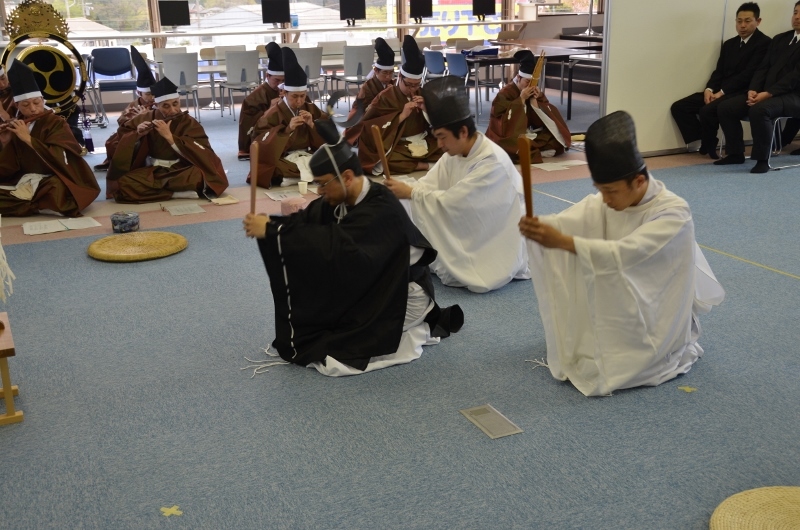 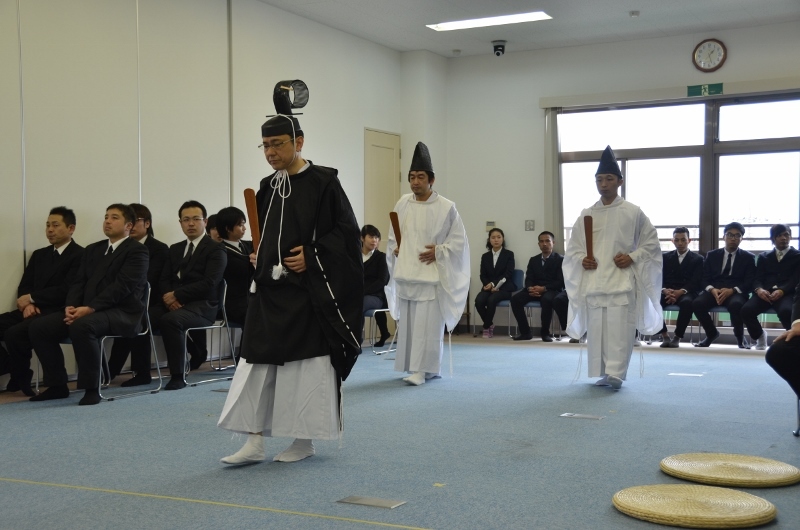 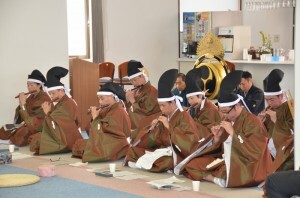 Here are pictures of court music instrumentalists and purification ceremony. 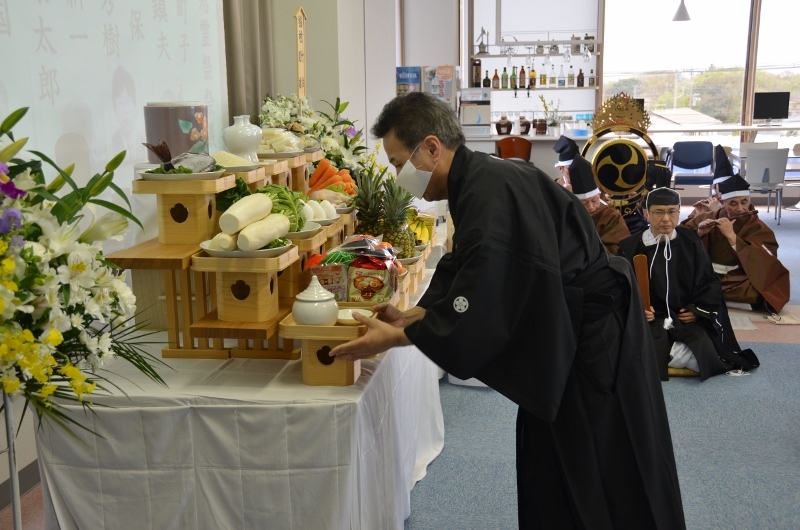 It is a food offering ceremony. 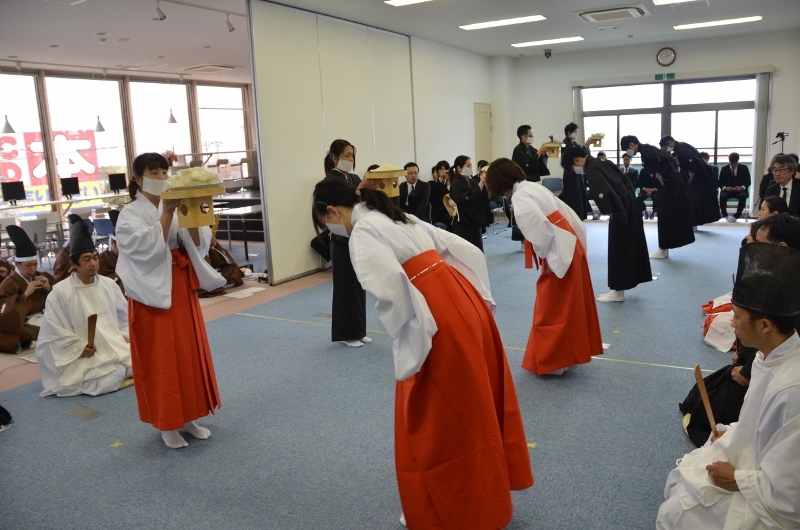 They are lined up perfectly and they move the same all together. 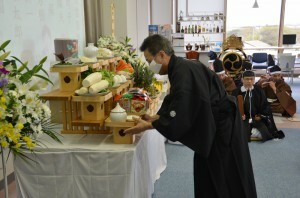 The president of Nissei Trading Thailand takes a lead to show his gratitude to predecessors. 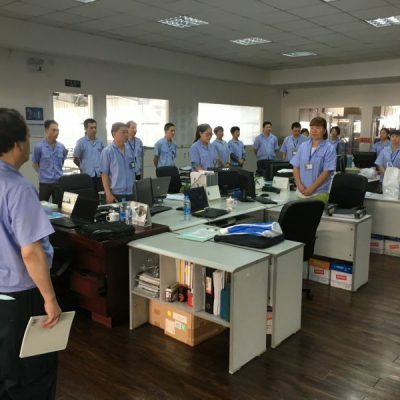 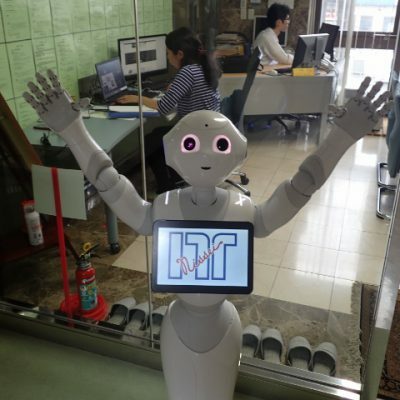 All employees even foreign employees show their gratitude to predecessors. 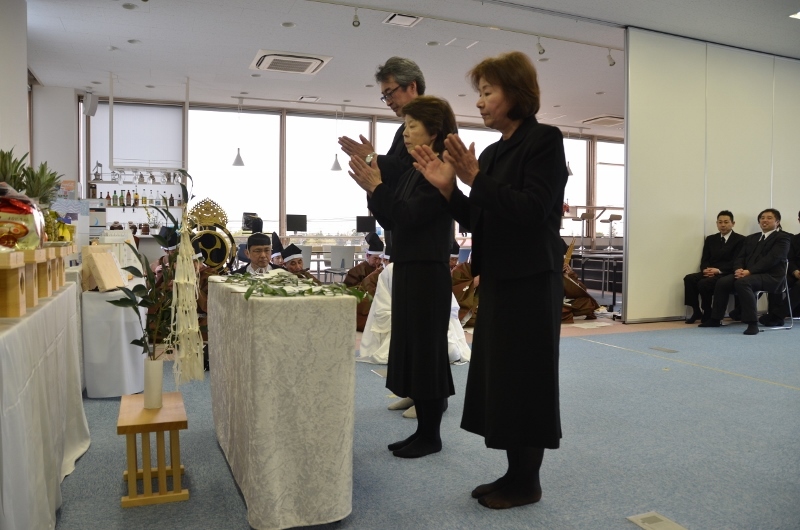 A Memorial Service for Deceased was able to be finished safely. All employees have practiced so hard after working hours for a month before every memorial servie for deceased. 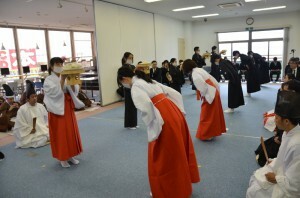 That’s why they can play and take the same movement all together completely. 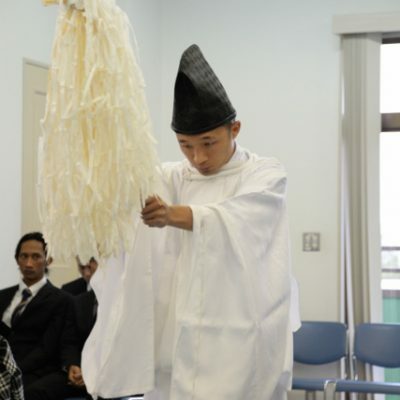 Practice can make anything possible.